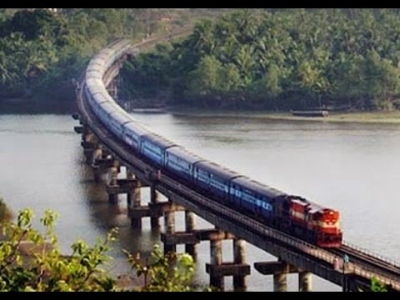 Konkan Railway Corporation got a major boost with Life Insurance Corporation purchasing bonds of Rs 250 crore that would be spent for expansion and upgradation of the railway route. The 25-year old railway corporation, on the occasion of its silver jubilee, has decided to go for double track as well as electrification of the whole route from Roha in Maharashtra to Thokur in Karnataka. The KRCL is also expanding its reach by connecting to Jaigad Port as well as to hinterlands of Chiplun-Karad rail Link. Railway minister Suresh Prabhu has also planned to construct new halt stations and passenger terminals as well as additional loop lines and stations for augmentation of section capacity. According to KRCL CMD Sanjay Gupta, the LIC support would help kick starting some of these projects.